Osgood Schlatter (OSD) is a condition which affects active young children during peak periods of growth. Typically between the ages of 10-15 (boys/girls). During growth, our bones feature growth plates, which hold the foundations of our bones. While these are essential for bone growth, they also represent a point of weakness. In the case of the knee cap, these growth plates form an attachment for the patella tendon. This tendon absorbs forces from the major thigh muscle (quadriceps) and assists in movement at the knee. Repetitive contraction of the quadriceps or loading to this tendon, can therefor cause stress to the growth plate and result in injury. Excessive foot pronation during physical activity can increase a child’s susceptibility to the symptoms associated with OSD. If the foot and ankle ‘roll inwards’ when walking or running, the knee cap will also track abnormally, increasing the stress on an already weak/developing structure. 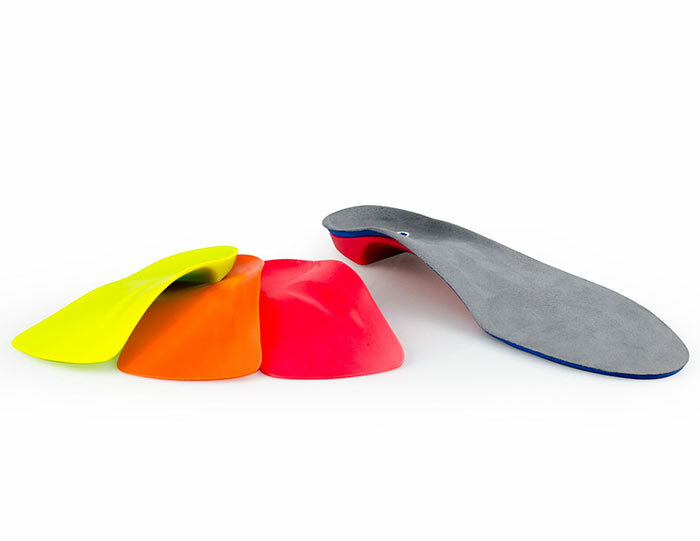 Orthotics: supportive insoles such as the Interpod Flex, will help reduce the stress to the knee by preventing abnormal patella tracking. They achieve this by preventing over pronation of the feet, which stops internal rotation of the lower leg and knee, while supporting other normal structures within the feet. Knee taping: The patient may require supportive taping of the knee cap to assist in reducing excessive movement and stabilising the knee. This may be implemented during everyday activities or during exercise alone. Footwear: ensuring the child is wearing appropriate footwear for the sport being played and during school time. RICE may be required when symptoms present (rest, ice, compression, elevation). Reducing exercise levels: while the growth plates are closing, the patient may need to reduce exercise participation. Often these symptoms are worse and unable to be managed effectively without addressing sport participation. Prevention is based around monitoring and reporting early signs and symptoms to your practitioner. Supportive footwear and exercise modification may be all that is required to avoid symptoms of Osgoods Schlatters. However unfortunately due to the unpredictable nature and speed at which an individual grows, it may not be avoidable in all individuals, therefore a clear understanding of the condition and appropriate management strategies are essential to reduce discomfort for sufferers. Evans, A (2010). The Pocket Podiatry Guide: Paediatrics. Churchill Livingstone, Chapter 13. Brukner and Khan (2009). Clinical Sports Medicine. The McGraw-Hill Companies, pg 591 – 609.
previous post: What is a Mid Tarsal Joint Sprain? next post: What is Tinea Pedis aka Athletes foot?